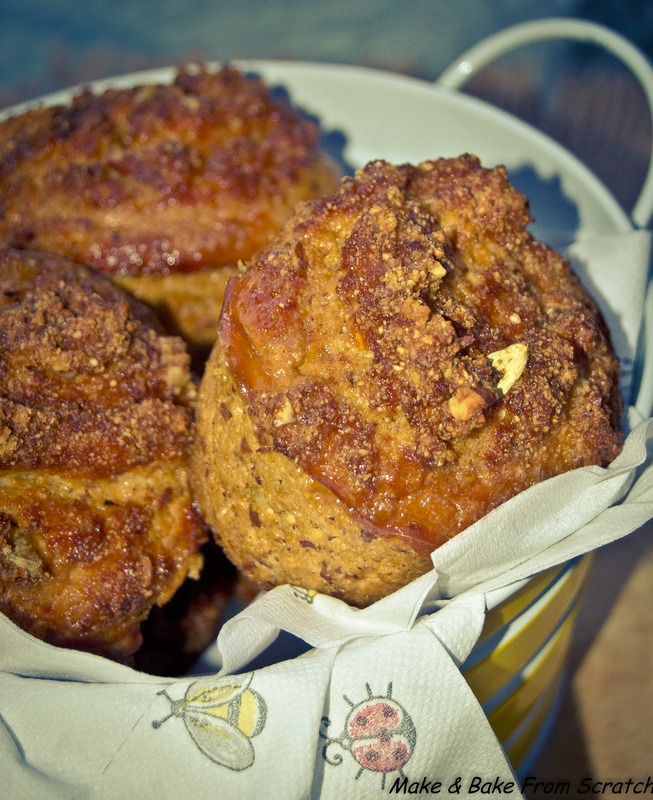 Chai Spice Muffins are great for a treat. They are gluten-free and dairy free. These little beauties were inspired by my passion for Chai tea. They were bursting with flavour and only lasted one day! Cook at 150c for 25-30 minutes (this will vary with ovens). Allow to cook slowly and thoroughly, when golden brown remove from oven. Insert a toothpick in the middle of the muffin; if the toothpick comes out clean the muffins are ready. This recipe makes 12 muffins; however, I made 6 oversized muffins. I baked the muffins at 150 c for 40 minutes. In a large mixing bowl add pumpkin, coconut flour, almond meal, baking powder, vanilla and spices. Whisk the six eggs in a separate bowl, add coconut oil. Fold the liquid into the dry mixture, rice syrup and chopped hazelnuts. The mixture should be nicely blended, like a cake batter. Add the almond milk gradually until a thick, creamy batter is formed. Be careful not to add too much moisture as the muffins will not cook properly. Divide into muffin tray or cases. Greek yogurt a drizzle of raw acacia honey and your favourite tea or coffee.